Identify missing workers and remain compliant with government regulations using our Automated Evacuation Roll-Call Solution. 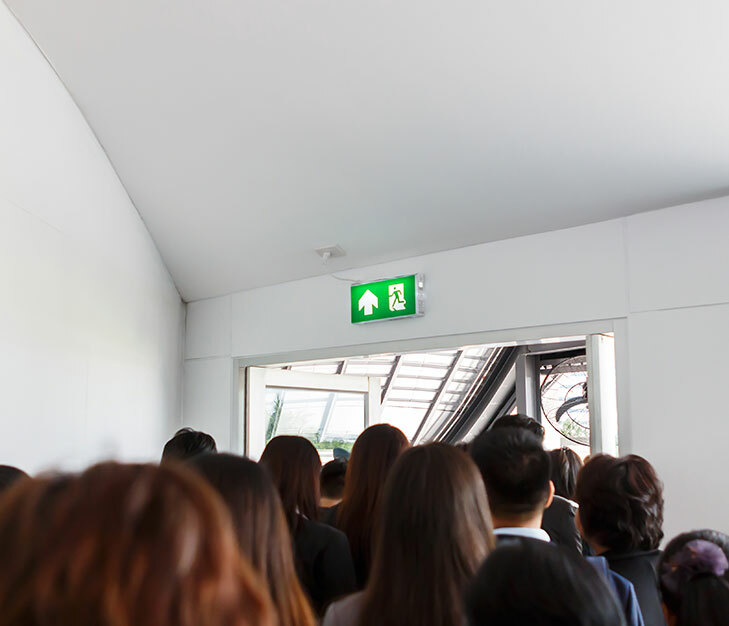 The panic of an emergency evacuation makes it difficult to manually count employees who arrive at an assembly point. Litum IoT has developed a streamlined evacuation headcount system that automatically counts arrivals and reports missing persons to managers. Our system is highly mobile, allowing you to track employees wearing electronic ID badges from a long range using mobile devices. Each of our badges integrates a BLE beacon technology. Even with a power outage, managers can use their cell phones or mobile tablets to complete an instant roll call from a distance of up to 100 meters. The software uploads/downloads important data from a cloud-based server and uses GSM technology to communicate. Any company with a large facility or many employees can use this system to complete automated head counts during emergency evacuations. Companies face harsh penalties from regulatory organizations for failure to meet established standards. Not to mention, the potential that exists for loss of life or injury when employees haven’t evacuated a hazardous building or work site. With this muster point management system, you can instantly see who has arrived at an assembly point and who may still be inside. This integrated BLE/RFID technology makes it easy for companies to meet OSHA safety standards, and the requirements of other state and federal organizations. With an automated headcount you'll be able to provide emergency services & safety personnel with accurate information about who may still be inside. Knowing which employees haven't shown up also means you can use the RTLS to look up where each employee was at the time of evacuation. Emergency personnel can use this information to get an idea of where to start a search operation. Our BLE badges are designed to look and function like traditional ID badges to ensure workers comply with wearing them at all times on company grounds. They are sleek, lightweight, and can be worn on a lanyard or with a belt clip. With a long battery life, you don't need not worry about changing or recharging for years. Your company can minimize the panic during emergencies and provide safety personnel with vital information in seconds. 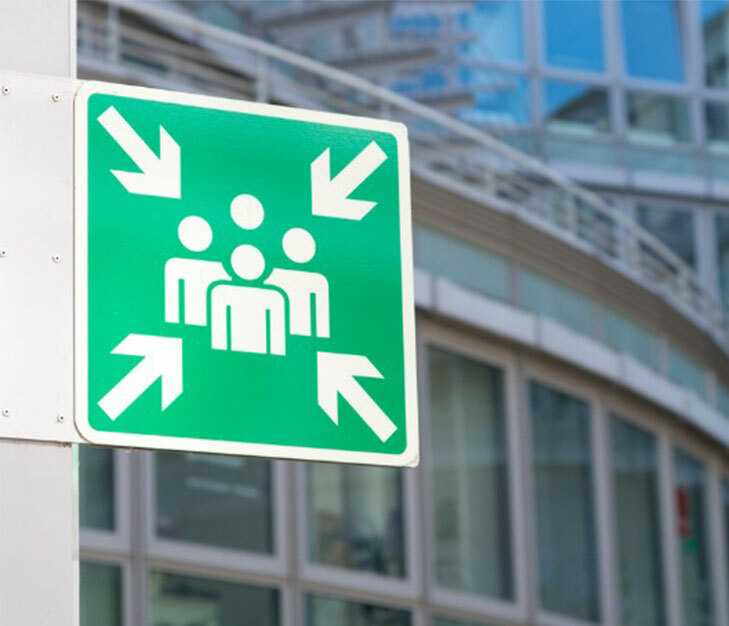 Our employee evacuation automated roll call system makes this possible without any hardware installation or external power/ network requirement.